The game is the product of Toronto based Big-O-Tree Games, and its tagline is "Because being politically correct is so... Boring”. As well as chasing animals to serve as food, the game also requires players to evade immigration officials. The game has come in for severe criticism from politicians in the US and Canada. New York Congresswoman Grace Meng urged tech giants Google, Apple and Android not to carry it on their platforms. 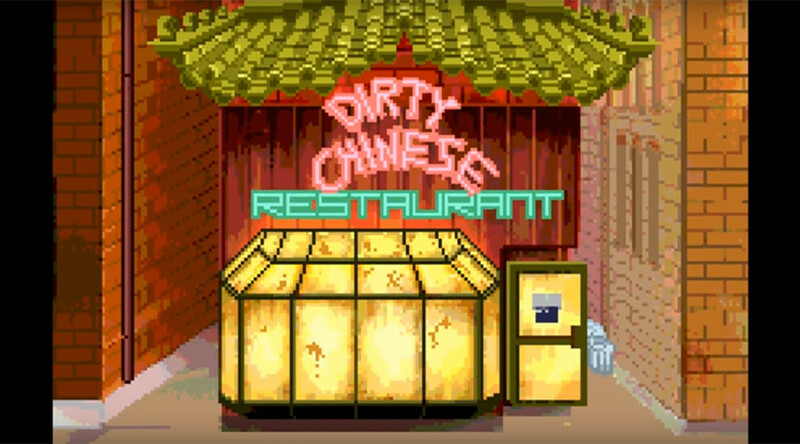 “I wish I could say that I was shocked that there is a new video game soon to be released called ‘Dirty Chinese Restaurant’. This game uses every negative and demeaning stereotype that I have ever come across as a Chinese American,” Meng said. The Premier of Ontario Kathleen Wynne said “this type of racism has no place in Ontario”, while the game was also condemned by the Mayor of the city of Markham, where Big-O-Tree Games has its headquarters. The company responded by saying that the game is “in no way is meant to be an accurate representation of Chinese culture." “Our game is mainly satire and comedy influenced by the classic politically incorrect shows we grew up watching, such as: South Park, All in the Family, Sanford & Son, Family Guy, Simpsons, and Chappelle’s Show. We also listen to Jay-Z,” it said.